Action Vinyl figures collectors will sure enjoy the thrill of the hunt for these Predator figures! The Predator Action Vinyls Wave 1 feature your favorite characters from the iconic movie. 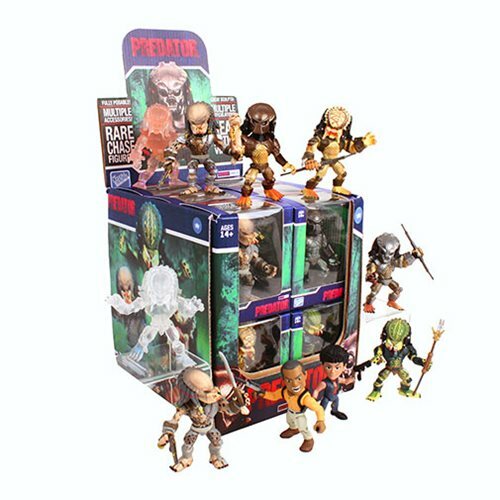 The Predator Action Vinyls Wave 1 Random 4-Pack contains 4 individually packaged blind-boxed 3 1/4-inch mini-figures. Each Predator Wave 1 Action Vinyl Figure contains over 11 points of articulation with extra attention to sculpt and deco, and accessories. Ages 14 and up.